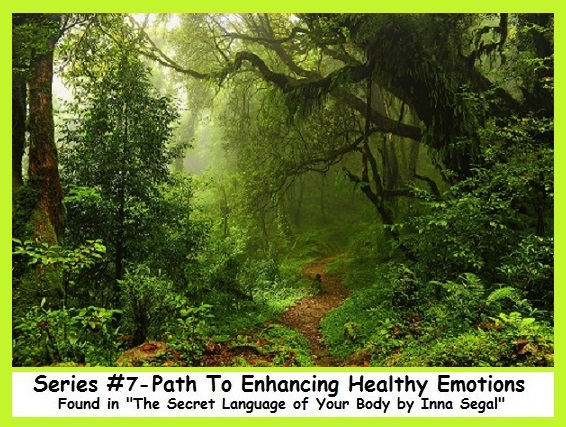 This completes the seven series exploring Inna Segal’s Process to Enhance Healthy Emotions and including the Ten Basic Principles for Healing in her book ‘The Secret Language of Your Body’. The last principle is Principle 10 Make laughter a priority. 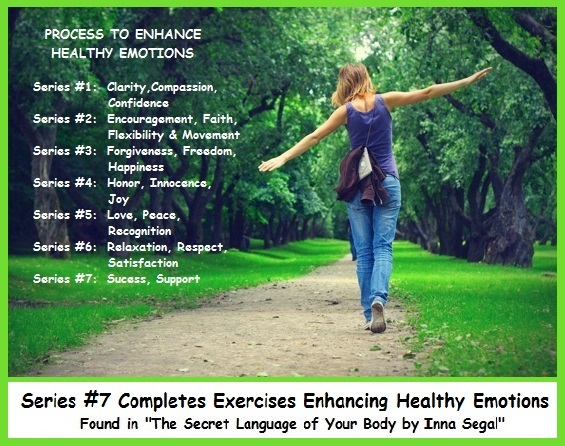 The benefits of laughter are so great that laughing for laughter’s sake has become the motto for countless people all over the world who participate in “laughter clubs.” There is even laughter yoga, which teaches specific laughter exercises. Looking at life from a humorous angle allows you to let go of stress and heal faster. Now begin the exercises by finding a quiet comfortable location and body position. Breathe deeply for several moments. Keep a notepad and pen nearby to write down insights that may come to you in the process. 2. Repeat the word “CLEAR” several times until you feel lighter. 3. Satisfaction comes from celebrating life and its enriching experiences. Rather than focusing on what you don’t have enough of, concentrate on all the things you are blessed with–even the ability to move your hands to pick up a pen, write a journal entry, read a book, or share your special gift with the world. You may simply celebrate the fact that you are alive, that the sun comes up each day, that the birds sing. Embrace and show your satisfaction, and you will see how things start to grow and develop in your life at an accelerated rate. 3. Everyone has a different idea of what defines success. For some, it is about accumulating great wealth, becoming good at what they do, having children, being healthy, or having great relationships. Whatever success means to you, appreciate the success you already have in your life. It is much easier to build on success when you already have some. And even if the success is small, acknowledge it and move forward with confidence.